When is the best time to have my child photographed? If you're a new mom, you'll definitely want to capture the "ages & stages" of baby's first year. Generally, that's around 3-mos., 6-mos. and 1 year. Tots - upon graduation of baby's first year, you'll want to capture that changing face again twice a year as a "tot". Easter Spring specials and Christmas specials are always good opportunities to take advantage of "Quick Takes" economy packages or Limited Edition sessions if you're looking for wall art. Tweens - our "Shining Stars" category are for kids ages 7 to 11. These are the years most often forgotten, therefore, most important to continue having "special" time with your child. We recommend at least once a year, twice if you want something better than typical "school photos" (bleh). Let them start to shine by capturing the developing personality as they become logical, thinking human beings. Teens - better known as "Rising Stars" - are those years from 12 to 16. Your teen is really starting to "rise up" with new activities and interests. You will want to showcase each season they are involved in sports or other activities. Let them come with a friend (or two...) so you can capture that persona you DON'T always see at home! 17! - The moment THEY'VE waited for, the moment you're probably not ready for. These are your child's "once-in-a-lifetime/going-out- into-the-world" photos and the ones you will cherish the most once they're gone on their own. These sessions are generally more involved to capture all the different activities, interests, styles and sides of your senior's personality. This is truly an EVENT to remember. Have fun and get involved with your senior's photo session and create memories together! How do I reserve my session time? You can reach us at 715-352-7373 to schedule during our normal business hours, M-F 10am to 5:30pm. Some of our "Quick Takes" sessions throughout the year are "walk ins only" and have pre-purchased packages. We are located in the historical Edgar Landmark building at 107 W. Beech Street, 54426. You can't miss us.....we are the largest building in town! Do you do evening or weekend apts.? Saturdays are prime time and by apt. only. They are typically reserved for extended family sessions and weddings, but can be reserved at prime time rates for other sessions, as well. What if it rains the day of my outdoor session? Be assured that the job is never done until the job is done! Seniors will be photographed as much as is possible working around the rain. 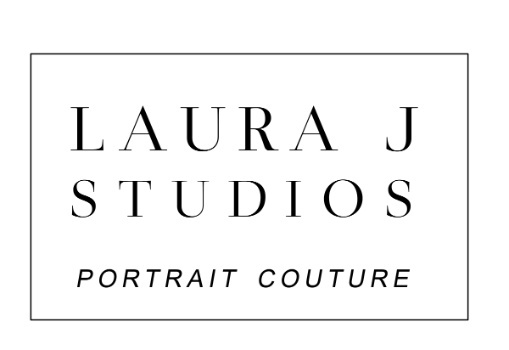 If Laura J does not feel she can give you everything you want that day, we'll re-schedule the outdoor portion. No worries! What is a "reservation fee"? When you schedule your apt. we take a reservation fee that is applied to your order and any applicable session fee. We have set aside this time for you and you only. If something comes up and you must reschedule, we just ask that you give us at least 24-hour notice and your reservation fee is transferred to your new date and time. No worries!